SIZE: Wide 10", Deep 9", High 18". 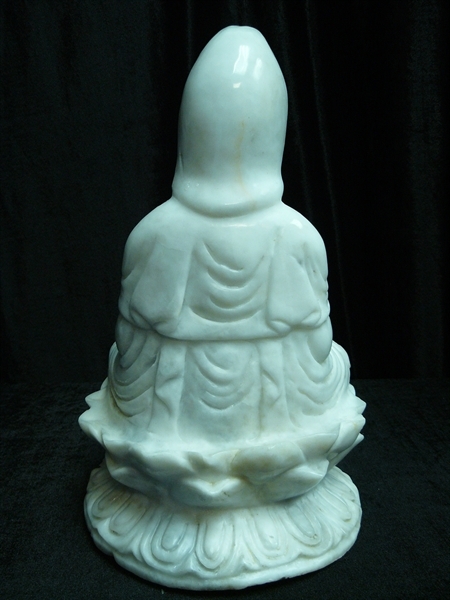 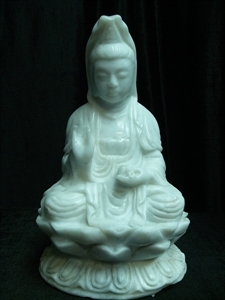 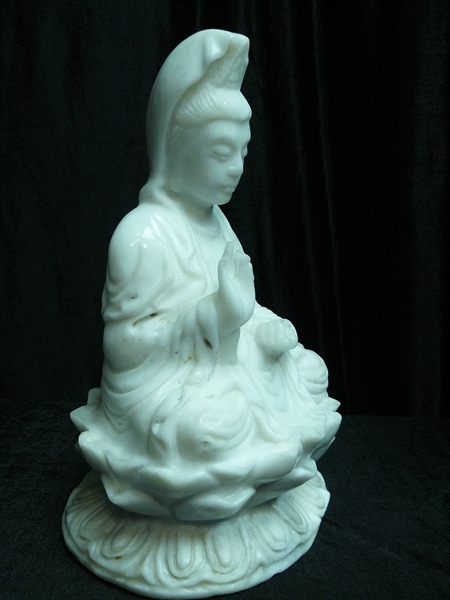 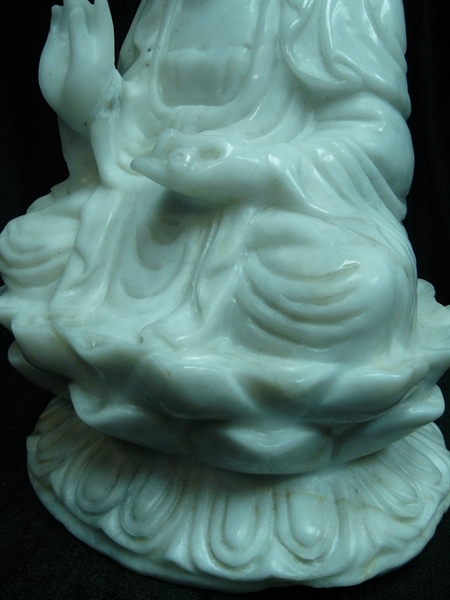 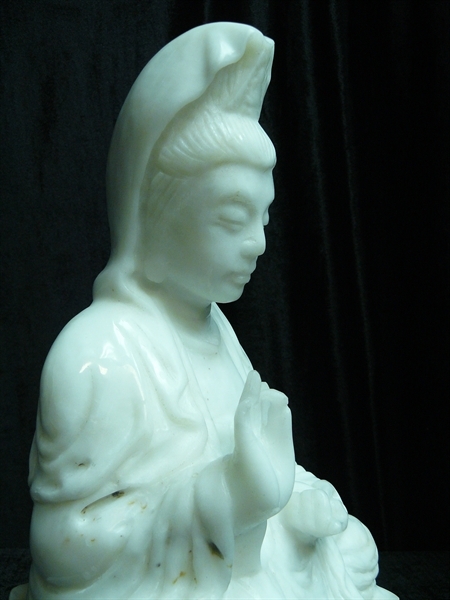 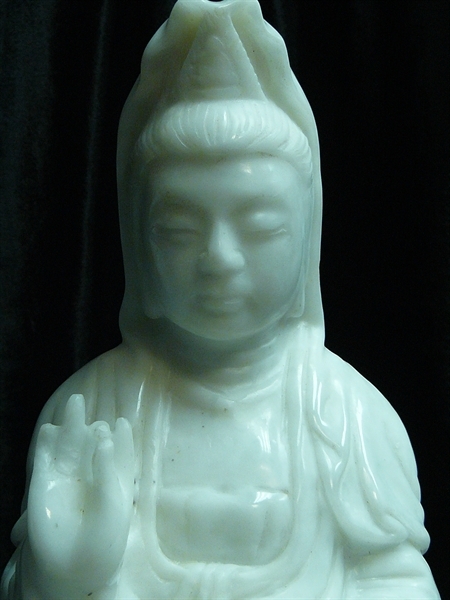 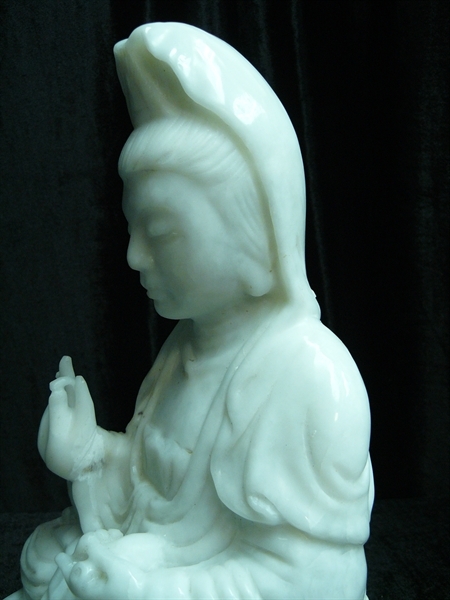 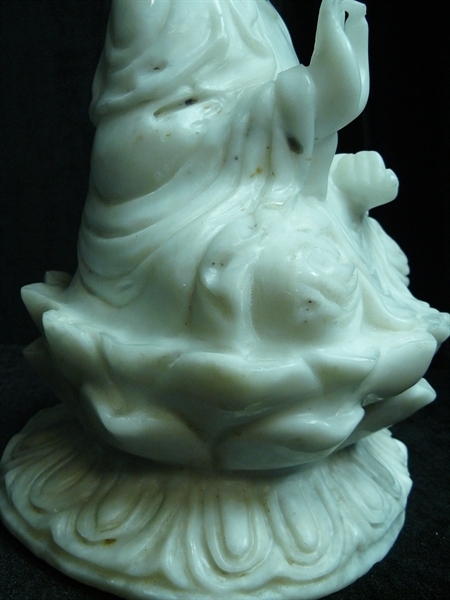 This jade Kwanyin is carved from Natural Han White Jade. 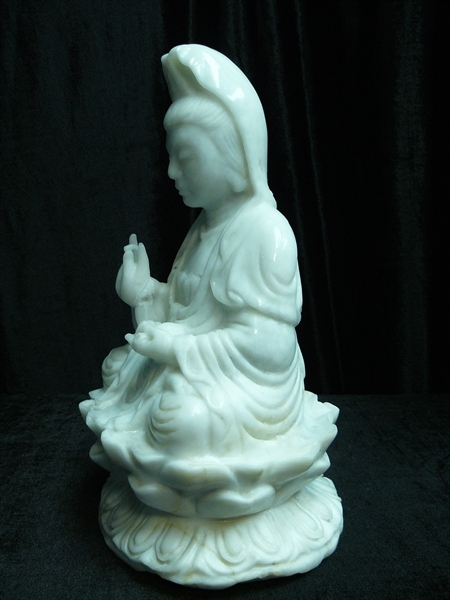 Very detailed hand carving.